Welcome! 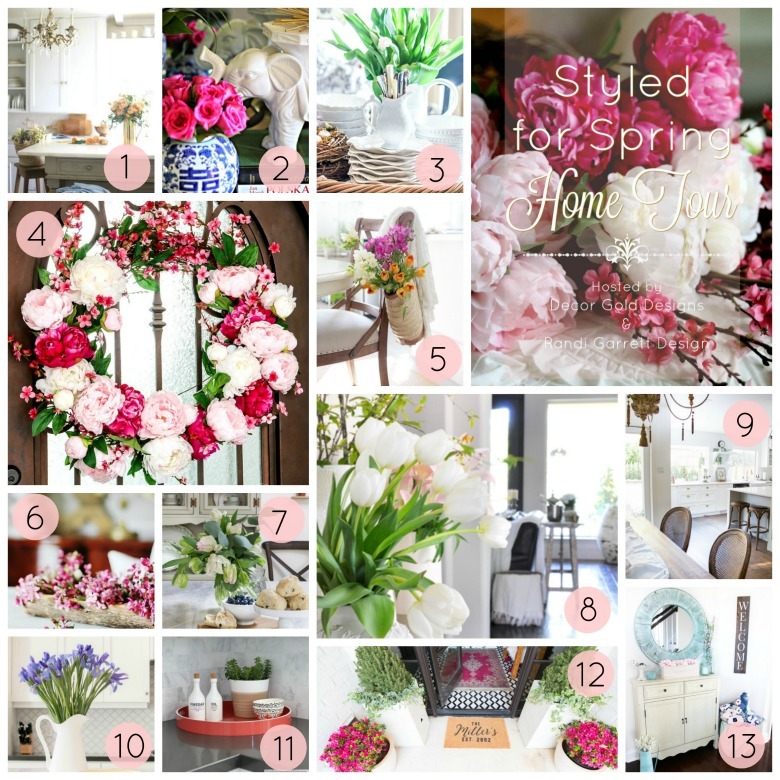 Today I will be sharing my entry hall for our Styled for Spring Home Tour. 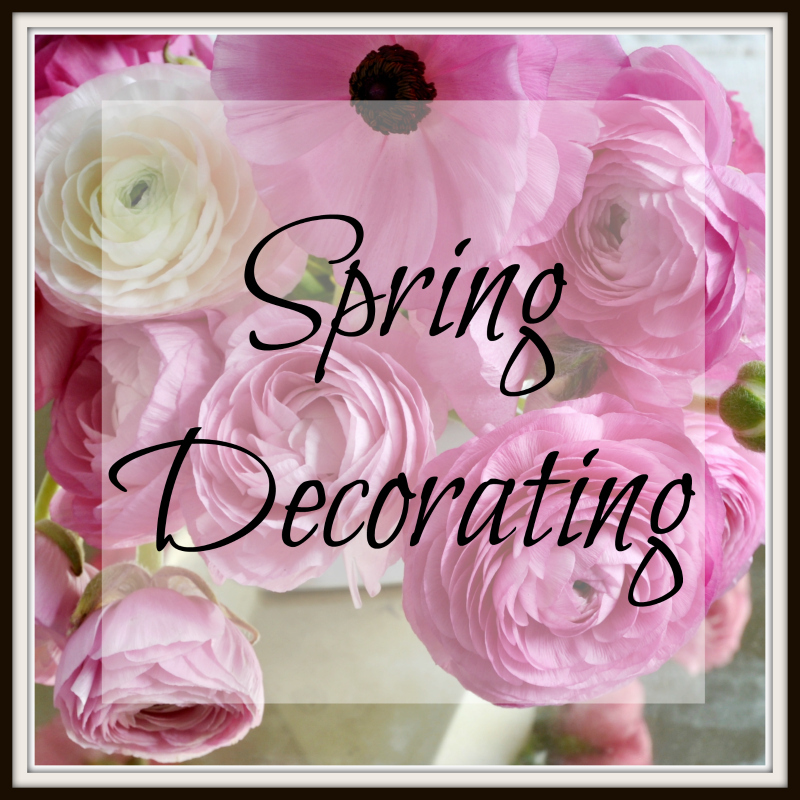 I have joined 12 other bloggers who will be sharing their homes, inspiration, and their spring decorating ideas. You can find links for all of these talented ladies at the bottom of this post. If you’re coming from Thistlewood Farm, I am so glad you’re here! I just love KariAnne. She has such a great sense of style! Spring is my favorite season. I love the pastel colors, fresh flowers and of course the great weather. To be honest, in south Texas we only receive a few weeks of truly great weather in the spring. As a matter of fact, one day last week, it reached 87 degrees. 87! And it’s still February. Putting our weather problems aside, I’m thrilled that the trees are getting new leaves. Also, I’ve already seen a doe and her little spotted fawn behind our home. So sweet. My potted flowers are beginning to thrive too. 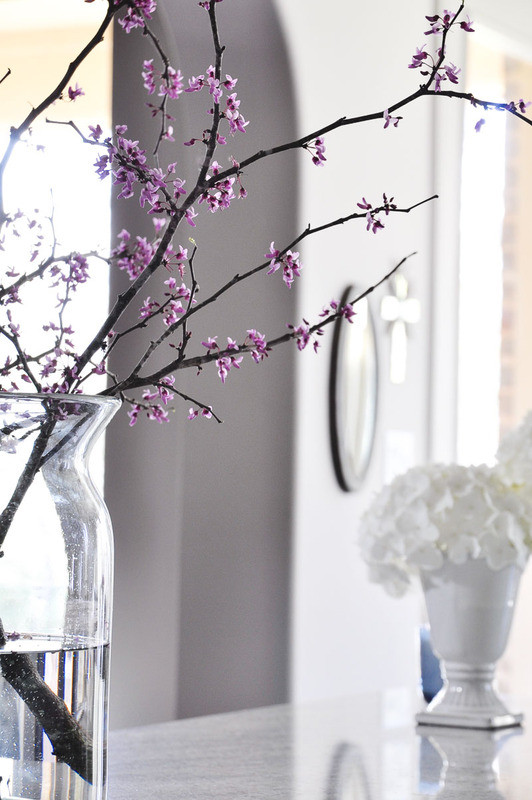 With so much spring in the air, I’m ready for the inside of my home to reflect the season as well. 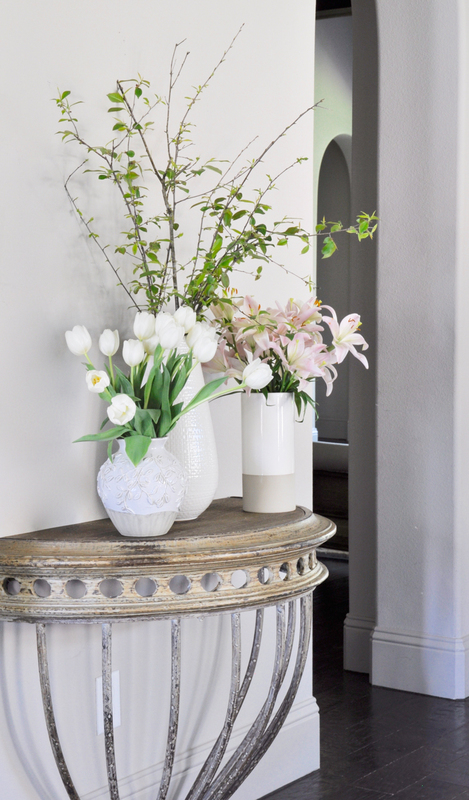 I chose fresh lilies, hydrangeas and tulips to welcome guests upon entering the foyer. Each spring, I look forward to adding these and other fresh flowers to this spot. 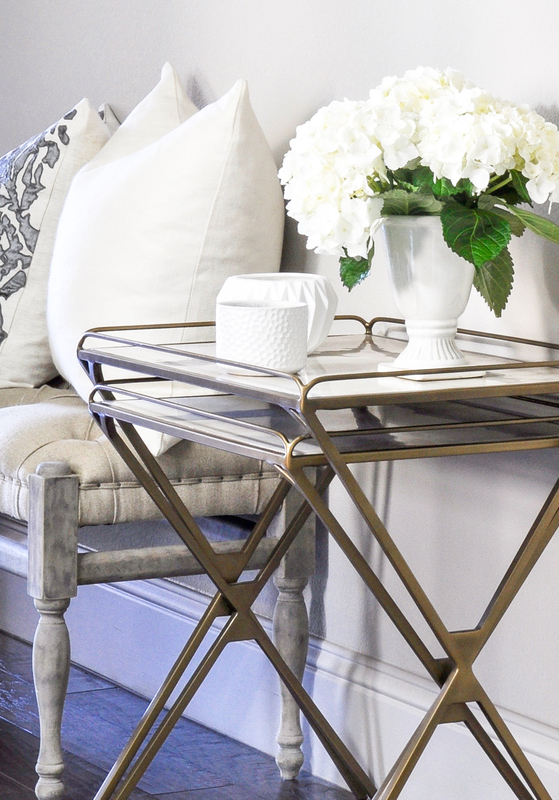 One of my newest additions this season are the nesting tray tables. I just love their versatility. 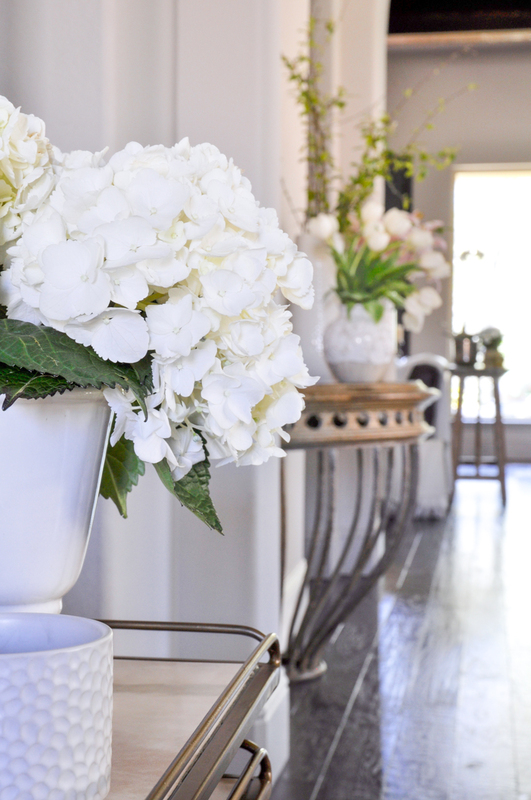 I used an abundance of white and soft colored florals to help this area feel welcoming. 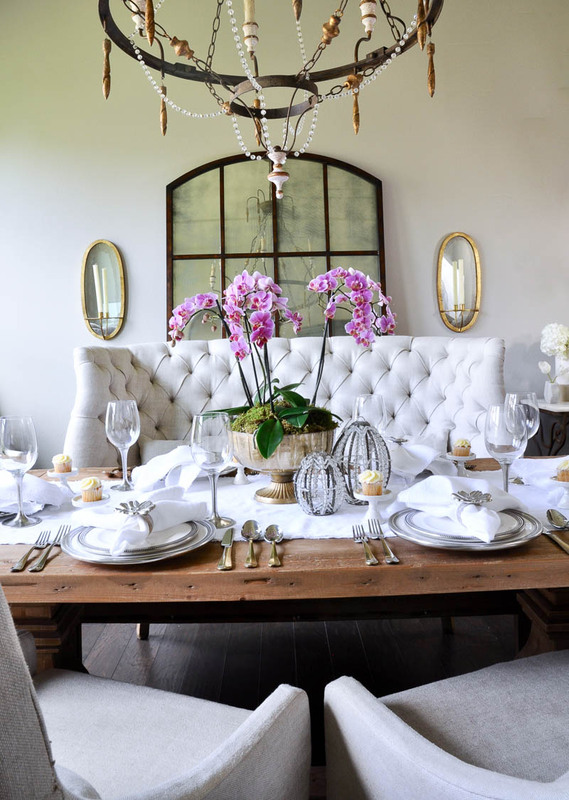 Also, the varying heights and textures of the florals keep the space balanced and interesting at the same time. 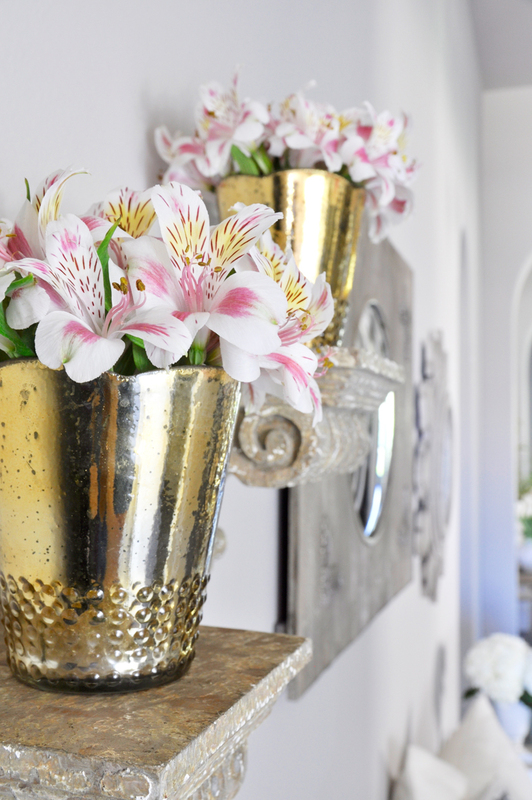 I found vases with multiple textures but they are all white which provides a lighter look for this season. 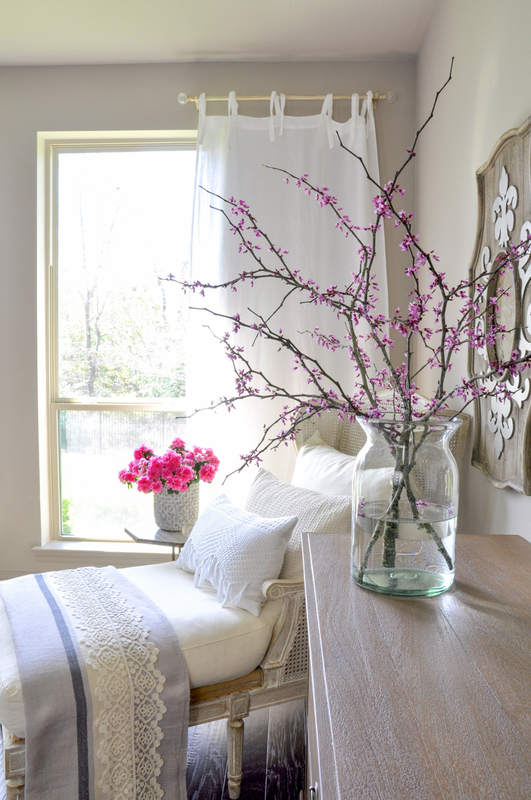 The demilune console table is the perfect spot for clipped branches. 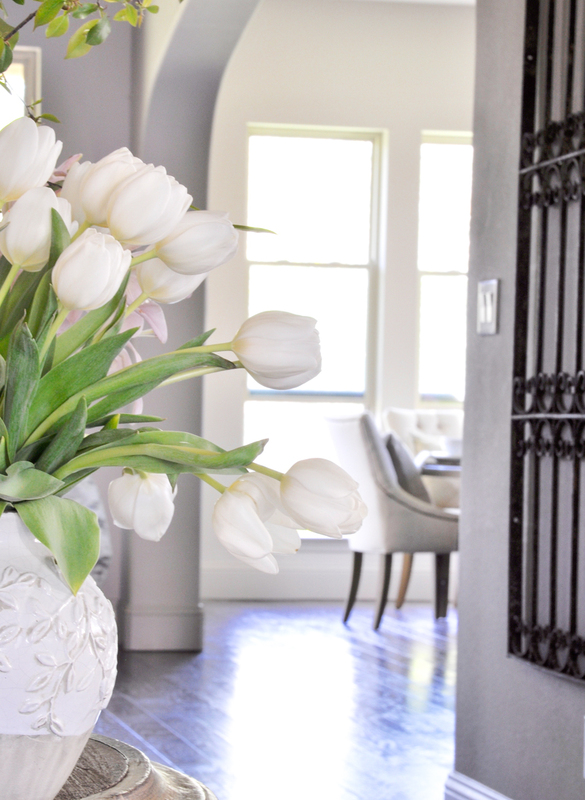 Tulips are one of my favorite flowers. Since they usually have a great selection, I frequent the floral section at our local Trader Joe’s. This view provides a peek into our living room, kitchen and breakfast room. As you can see I’m starting to add spring to my other rooms as well. Additional tours coming soon! Thank you for visiting! Next, please visit Jamie from So Much Better With Age. Her beautiful vintage style will surely inspire you! 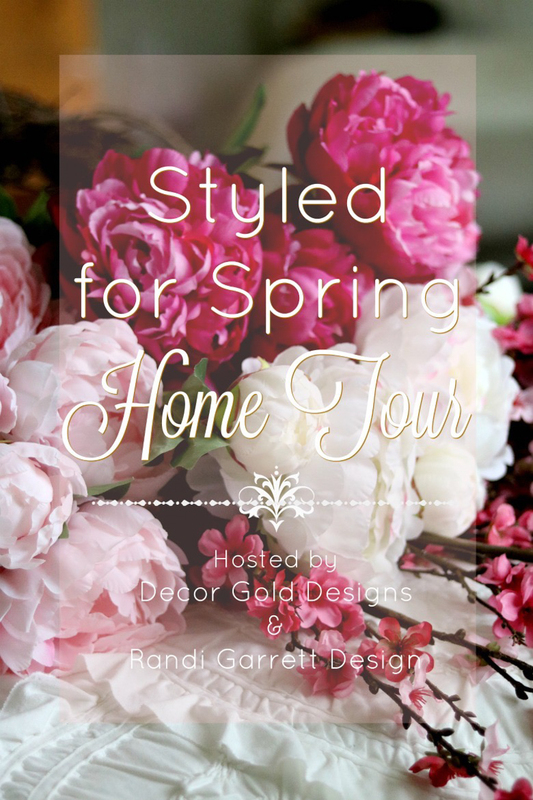 You can click on the links below to visit the other bloggers on this tour. Be sure to visit all of them! Everything looks beautiful! 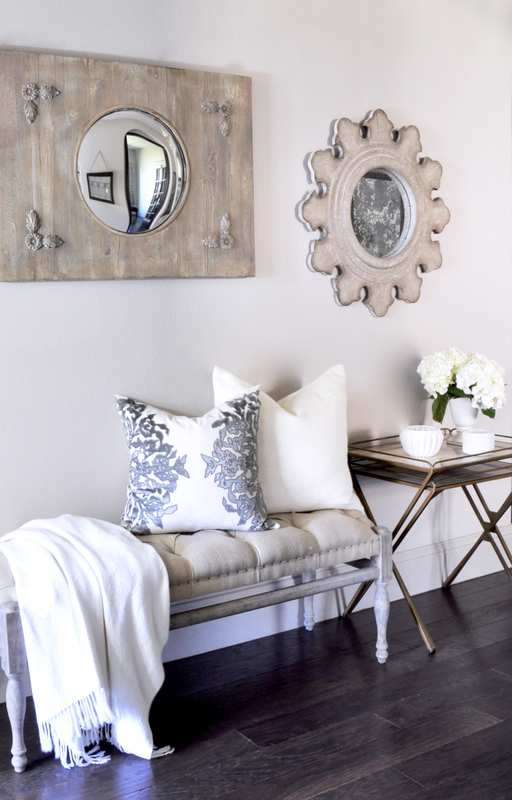 Love that chippy paint sofa table. So gorgeous Jen! Loved your tour and thank you so much for inviting me to be a part of this amazing group of women! It’s so gorgeous, Jennifer! 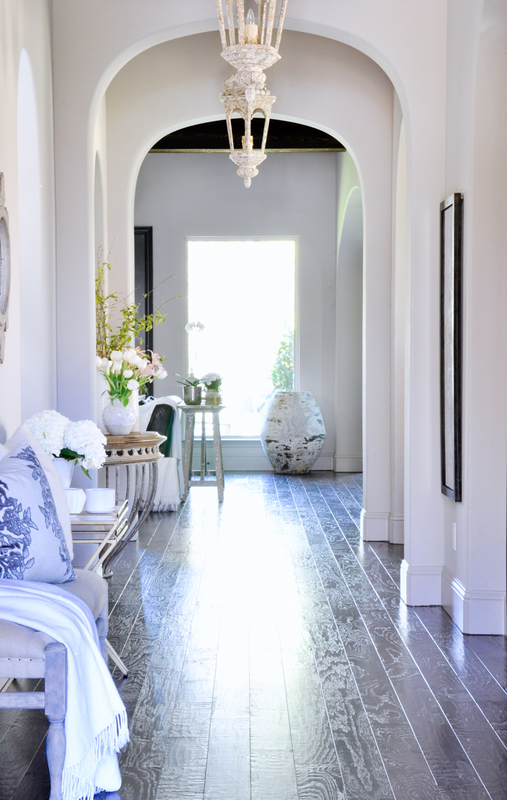 I love, love, love your foyer (and your home…and your style). Thanks so much for having me on this tour with you! Your entry is so fresh and welcoming! The touch of flowers is perfect! Love the nesting tables! Thanks for sharing. Thanks so much Gina! 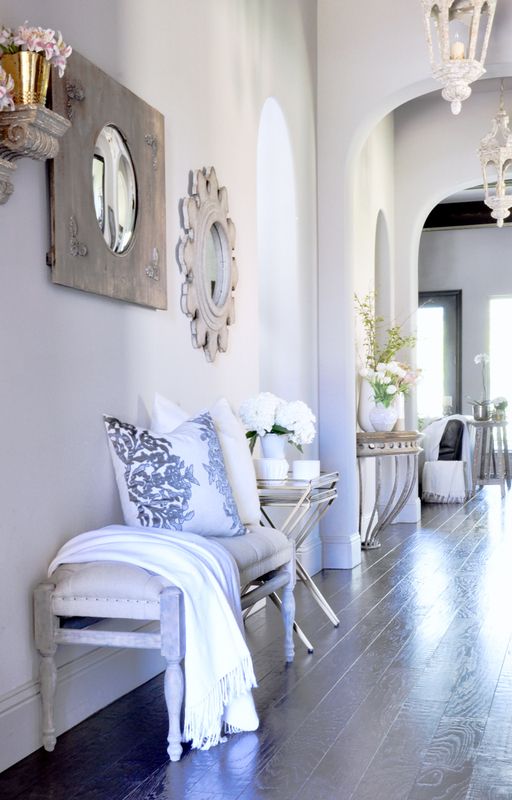 I just got the nesting tables and I love how versatile they are in the entry hall. Thank you for stopping by! Simply beautiful! I wish my entry way looked like that!! And I’d kill for 87 degrees in February, it’s 23 here (sad face)! Thank you so much! It’s the first time I’ve had a decent sized entry and I’ve enjoyed it very much. Hope your weather improved!!! Thank you sweet Janet! I love a bright home! Jen what a beautiful entryway you have! Your home always makes me swoon! Love all of your beautiful details my friend!! Stunning. You do it so well. Such a beautiful home. Your reveals are my inspiration in decorating our new home. Do you happen to know the name of your hardwoods. It’s exactly what I’m looking for. Hi Kara! Thank you so much. I don’t know the name, but I do know they were discontinued about three years ago. You might be able to contact Shaw and ask if they have a similar replacement. Hope this helps!